Mix onion with key lime juice in a small bowl. Let sit for 10 minutes. 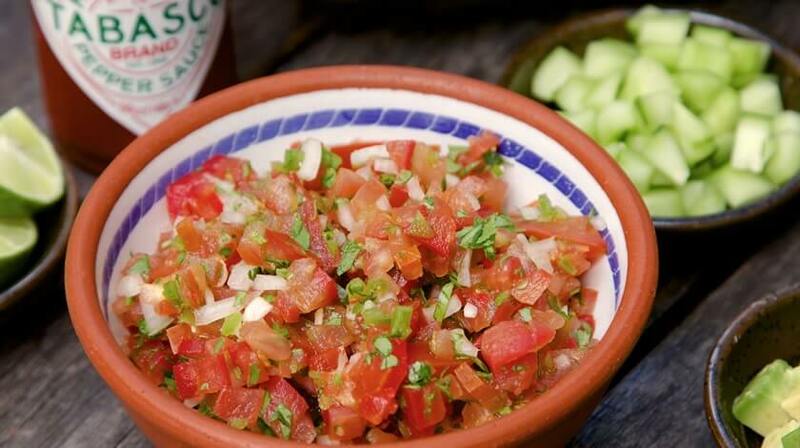 Combine tomatoes, cilantro and pepper in another bowl. Stir in onions and TABASCO® Sauce. Salt to taste. Use with grilled meats, scrambled eggs and tacos. It can also be spooned into quesadillas. Variations: For a crisp, refreshing flavor add 1/4 cup diced cucumber, seeded and peeled; and 1/4 cup diced jicama. For a smoother flavor add 1/2 cup diced avocado.